It has been over 40 days now, the military government is openly escalating more brutal crimes. Rohingyans have been confined with constant abuses and without food. Some Rohingya those attempted to escape by boats through the sea were fired by launchers by navy forces and those captured in inland-waters were defined as illegal enterers and punished to unknown. Schools have been opened from last week and all Rakhine children are attending while Rohingya are disposed to languish in uncertainty. The government and Rakaine state minster who is also Rakhine people party-RNDP's president and high-ranking authorities are openly stopping any kind of food supply or finding foods by Rohingya themselves. However, the demon military government that repeatedly committing crimes has been receiving more kind and diplomatic approaches. It is the time therefore no Rohingya could be survived. Soon, they all will be exterminated within the scope of government's pogrom. the rest Noor Ahmed, Gurason, Ali Ahmed, Kala, Ismail, Abdullah and the two other are members. They were severely beaten-up by police and RNDP members and lifted to Buthidaung police station. He also confirmed that there were four other USDP members of Buthodaung town including Mohamed Noor s/o Seraz from Buthidaung Town, Azad s/o Master Saw Maung were arrested by police four days ago. About a thousand of Rohingyans who were arrested mostly from Maungdaw town are suffering in dehumanized condition of Buthidaung Jail. Each day, 40 prisoners were took out from the cells timely morning and evening and torture severely. At least 2 to 3 Rohingya detainees are dying and buried nearby a brick field, without handing over the dead bodies to relatives. Kaladan press : The Military Intelligence Lt. Col. Kyaw Zwa Win, and his coworkers Sergeant Than Win and Kyi Han, Oo Daung village administrator Tin Maung (Rakhine) and the monk of Oo Daung village monastery, came without uniform and entered into Nasaka area numbers (7) and (8) since 11 July and then arresting Rohingya villagers. Many villagers escaped on the arrival of authority by car. Nine villagers including Molana Zu Bair- 70, were arrested and severely tortured in the village and along the road to Maungdaw town. The authority mostly selected the villagers who are seen to be rich, educated and leader in order to extort money. According to a trader, 21 villagers were arrested from Alaythan Kyaw village yesterday night of 13 July. Similarly, Mohamed Younous-27 s/o Abdul Hussin and Haroon Rashid-30 s/o Sultan from Maungmana village, were arrested by Military Intelligence at the night about 11:30pm of 13 July. The arrestees are workers of Mr Zubair who is close aide of Nasaka director Lt. Col. Aung Gyi. Kaldan press: U Myo Win, the Commander of the District Police Force of Maungdaw called the store owner Hajee Dil Mohamed from Myothu Gyi village to his store stationed at Aung Gyi line of Maungdaw and ordered foodstuff worth around 30 million kyat. All the goods were transferred onto the truck and moved away. Military Inteligence arrested two Rohingya – Ibarahim and Serize from Alaythankayaw village after security forces round up the village. All the young and male fled from the village during the security force entered. The military intelligence officers with police officer arrested Dil Mohamed s/o Abul Bashar and Kamal Hasson s/o Ahmed Shafi from Maungdaw north. Abu Majed and Abdullah were arrested by Hluntin, Rakhine and acting administrator officer Mujeb Ullah from Ward number(2). 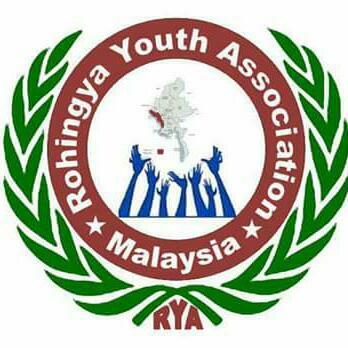 The authority arranged Hindu community and presented them as Rohingya during a group of 88-student leaders visit Maungdaw town.